Whether regionally or nationwide – terrestris wants to take responsibility and get involved. As we are rooted in the region, we specifically promote regional conferences that serve as a platform for ideas and knowledge. Since its foundation, terrestris has been an active member of the open source community and participates as a core developer in individual OSGeo software projects, acts as a charter member and organizes international and national conferences (FOSS4G and FOSSGIS). 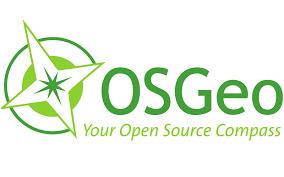 OSGeo is a non-profit organization that promotes the worldwide distribution of open source geospatial technology and provides financial, organizational and legal support for the software projects and community. FOSS4G is the abbreviation for Free and Open Source Software for Geospatial. It is the annual global event organized by OSGeo since its inception in 2006.
terrestris is a founding member of OSGeo. A special highlight is the FOSS4G 2016, which was located in Bonn. Partner Till Adams acted as chair of this conference from his position as 2nd chairman of FOSSGIS e.V. FOSSGIS is the abbreviation for Free and Open Source Software for Geoinformation Systems. The FOSSGIS e.V. is a registered non-profit association. Partner of terrestris, Till Adams, is 2nd Chairman of FOSSGIS e.V. The FOSSGIS conference is the largest German-language conference for free geoinformation systems and free geodata. The annual conference is largely co-organized by terrestris employees.